It’s time to go on a journey around the World with Denmark-based builder Lasse Vestergård, who has built a huge scenic sculpture complete with handy globe to help keep you on the right track. Around the central globe are two circular stages each showing scenes from different countries. There are 26 countries in total, including Denmark, Greenland, UK, Italy, Spain, Israel, Australia and lots more in between. 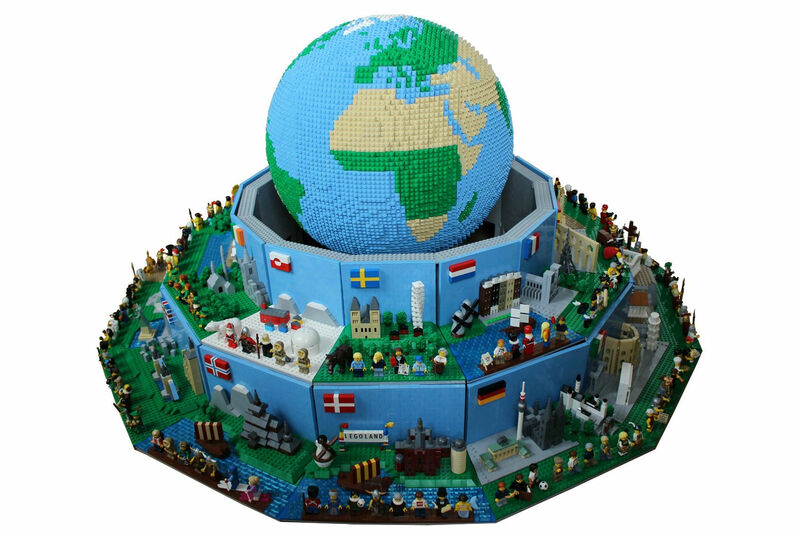 Each country has a few minifigures that represent part of the history, heritage and culture. There are lots of fun minifigures to spot, such as a mermaid in Denmark, footballer in Germany, Leprechaun in Ireland, Medusa in Greece, Mary, Joseph and Baby Jesus in Israel, Shakespeare in the UK, and so on.